politicalbetting.com » Blog Archive » Is Labour the party for “Unequal Constituencies”? « Did the Tories come a bit too well prepared? Is Labour the party for “Unequal Constituencies”? Should Straw be careful about the “gerrymandering” charge? Every so often I find myself having to explain to non-election anoraks why it is that Labour can secure an overall majority with 2.7% more votes while the Tories need a margin of 11.2%. Generally their eyes glaze over as I talk about differential turnouts etc but the point they grasp instantly is that Labour-held seats have, on average, smaller electorates than Tory or LD-held ones. This is one of the things that on the face of it seems unfair and that should be put right. It’s hard to argue against. 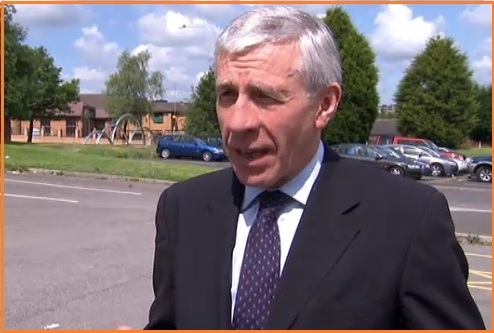 So I wonder whether Mr. Jack Straw has made a mistake in making the Coalition move to create equal-sized constituencies the reason why Labour will oppose the electoral reform bill that includes this and the AV referendum? For it looks as if he’s trying to find any reason to wiggle out of Labour’s manifesto commitment on the alternative vote and in doing do is allowing it to be portrayed as seeking to continue an unfair system for its own narrow advantage. Using the “gerrymandering” charge, in particular, is over the top and inaccurate. What Labour’s opposition is doing is uniting the Liberal Democrats a few weeks ahead of what could be a tricky party conference season. The furious reaction by LD deputy leader, Simon Hughes, yesterday is telling because he is not a minister and is a leading figure on the left of his party. I cannot see David Miliband continuing with the Straw stance when, as seems likely, he becomes Labour leader on September 25th. This morning I’m due on 5Live after about 8.30am to talk about the Labour leadership.